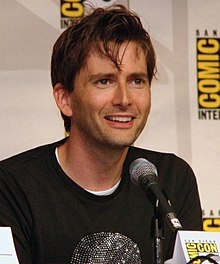 David John Tennant (né McDonald; 18 April 1971) is a Scottish actor. He is most known for playing the Tenth Doctor on Doctor Who from 2005 to 2010 and as Giacomo Casanova in the television series Casanova. In 2011, Tennant had a daughter with Georgia Moffett. Later that year he adopted Moffett's son. The couple married in December 2011. In May 2013, the couple had a son. In November 2015, the couple had a daughter. This page was last changed on 19 September 2018, at 21:13.